Public officials, journalists and ordinary citizens frequently use words like "tragedy" and "tragic" when trying to make sense of burdensome events and painful setbacks. Political theorists and philosophers have long used the example of Greek tragedy and notions of the tragic to reflect on the nature and significance of democracy in modern life. Pirro offers a way to understand the deep connections between these two seemingly disparate and unconnected discourses of tragedy. Those connections are to be found, he argues, in the interdependent relationship between tragedy and democracy, which first manifested itself in the democratic polis of ancient Athens. 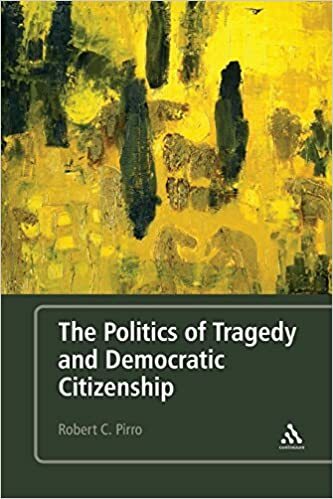 The book considers how tragedy has been used to promote democratic activism, foster civic solidarity in times of democratic transition, and form a sense of national identity. Written in an accessible manner and drawing upon political speeches, journalistic reports, works of popular film and literature, and academic writings, The Tragedy of Politics reveals the tragic understandings that form the core of some important contemporary visions of democracy.